No, not Greece. Tuscany, Italy. Or, more precisely, to two specific worldclass wineries dominated by exquisitely restored family owned and occupied castles dating back to the Middle-Ages and the Renaissance period. 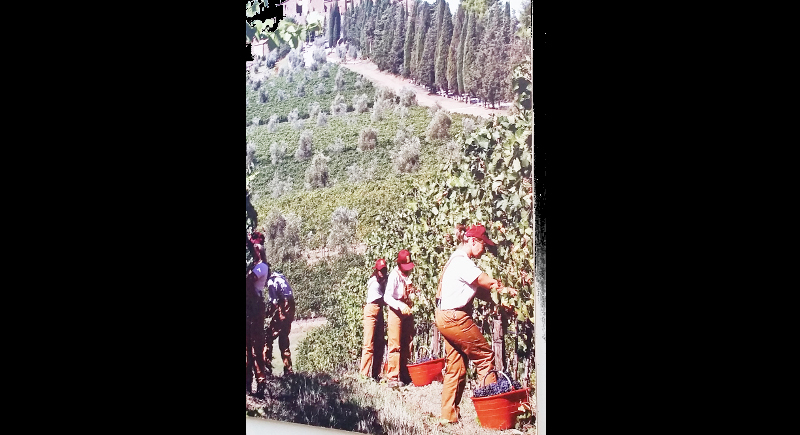 Each winery epitomises the excellence of Italian wines but through vastly different histories and styles of winemaking. So in the interests of becoming wine snobs to our friends in Phuket, in September four Phuketians joined four Norwegians on a wine tasting odyssey over four days in Tuscany, the Phuketians to be educated and the Norwegians to do the educating, along with our Italian hosts. All are shy so shall remain nameless. 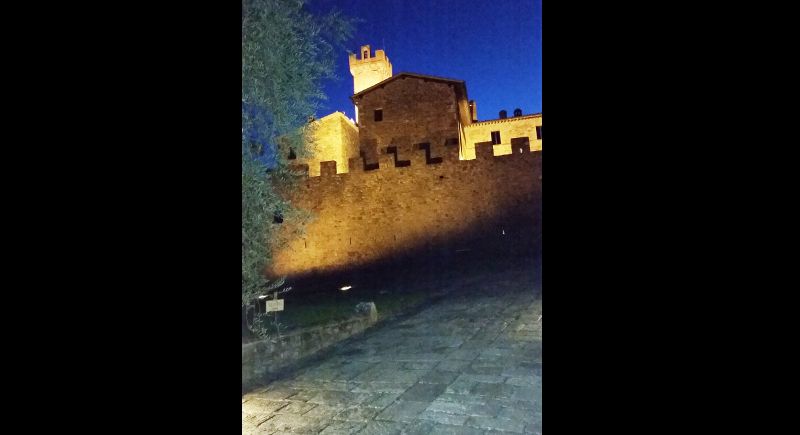 We visited two wineries, Banfi and Allegrini, both producers of world-class red wines. Here’s what we found. Banfi’s medieval castle “Poggio alle Mura” (Walled Hilltop) near the picturesque hilltop town of Montalcino is home to the Marianis, Americans with family connections to Pope Pius XI, who migrated to this historic region in the 1970s to rejuvenate the sleepy region by starting their winery from scratch. Today Banfi boasts more than 7,000 acres of prime Tuscan land, about one third planted in noble vines, but also containing olive groves, truffles, deer, wild boar and pheasants. “Poggio alle Mura” is a hotel and still home to members of the Mariani family. Banfi is a “new” winery by historic Italian standards, being founded only in 1978 by American brothers John and Harry Mariani, who still visit from the US each year and oversee a highly technical and scientific process that produces mainly reds, such as the signature, award-winning Brunello red wine. Its four vineyards are spread across Montalcino, Chianti, Piedmont and the Tuscan coast. Here a unique process of combining modern maturation/fermentation processes (temperature controlled stainless steel vats and larger than average French oak barrels) produces 35 varieties of wine through an artisan approach to winemaking. Premium wines are released a minimum of every five years before being released. Some can lie for 25 years before drinking. Sangiovese is the predominant vine. The vineyards on which Allegrini Estates, in the Fumane Valpolicella viticulture zone near Verona, are based on, by contrast to Banfi, date back to the 16th Century and also boast a historic building, the immaculately manicured and restored “Villa Della Torre” (Of the Tower); a classic example of Renaissance era architecture, headquarters of the family and also a fine dining and event and cultural centre. Allegrini was founded in the 1930s by Giovanni Allegrini who saw potential others didn’t in planting vines on the stressed terrain of the hills facing nearby Lake Garda (vines had been grown on flat land since Roman times). 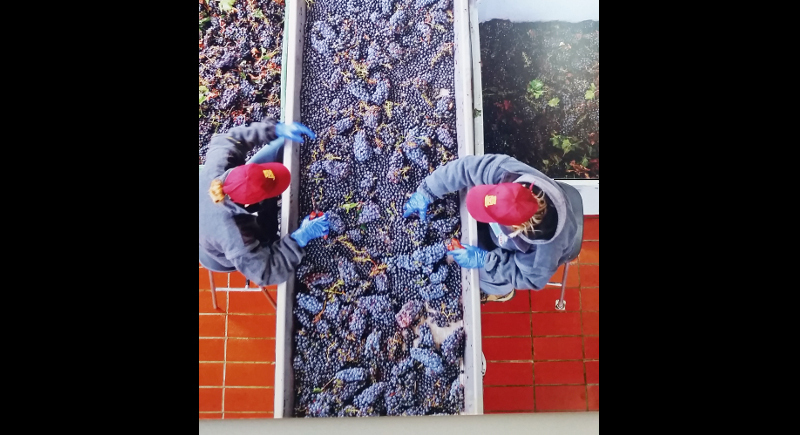 Like Banfi, it also employs innovative winemaking techniques, notably using thousands of plastic trays for drying the grapes. Vines must dig deep here to find the minerals that go into producing Allegrini’s signature red wine, La Grola, and many others from its six vineyards. So those are the wineries. What about the wine? Well, to appreciate the best of Italian wines you have to taste them. Right? With that in mind and acknowledging that every wine on our recent four-day wine tasting tour of Banfi and Allegrini tasted, needless to say, superb to our uneducated palates, the simplest way for readers to get a “feel” for these great wines, is to educate everyone in the noble art of tasting wine. Wine Tasting tips. Or tipsy! So here are some tips from an expert, Kristian Nomell Strøm, who is a Norwegian sommelier and wine ambassador for Norway’s Solera Beverage Group, who accompanied our group to the Banfi section of the tour. Type of glass:can depend on the type of grape because of exposure of the wine in the glass. The shape and exposure to oxygen are important. Swirling:always swirl the wine glass stem on the table, or slightly tilted, before smelling and tasting. Sniffing the wine:hang your head into the glass so your nose is over the lip. Tasting:hold the wine for around four to five seconds in the mouth before swallowing.